B1846. Irving Kolodin. 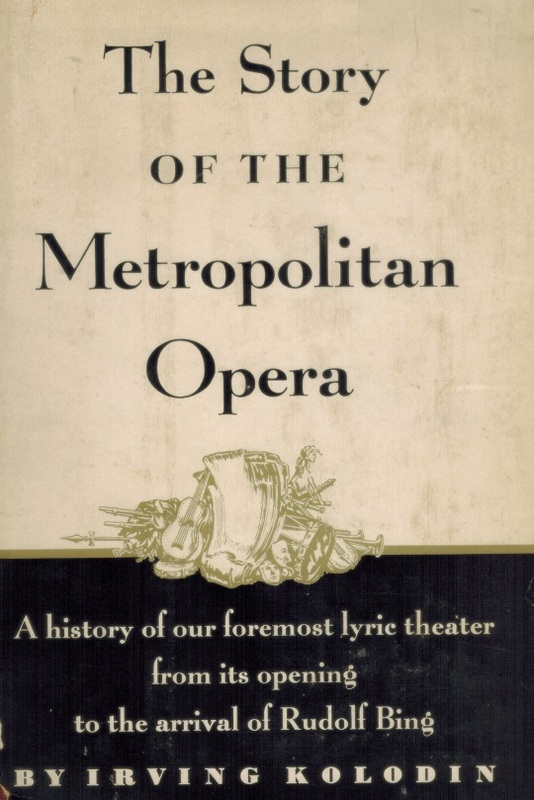 The Metropolitan Opera, 1883-1950. 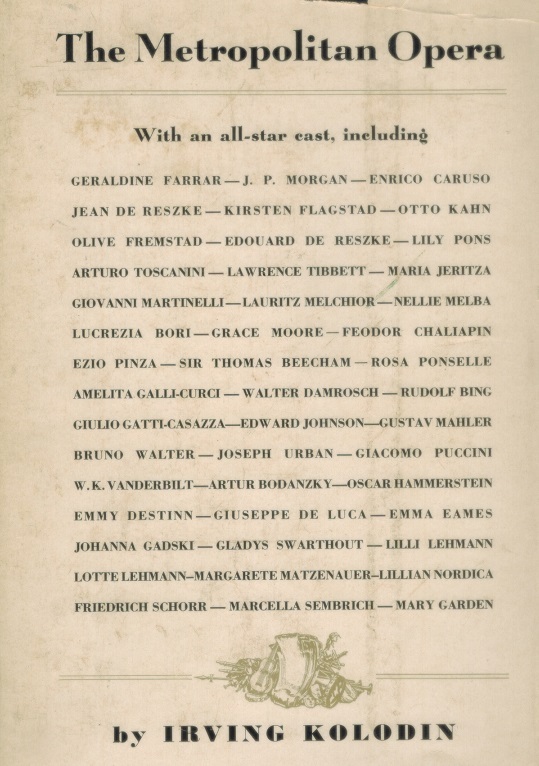 New York, Knopf, 1953 [First Edition]. 645pp. Index; Photos; DJ.